In the Northwest of North America the entire month of March is always all about spring. My two favourite places to experience SPRING (in capital letters) are La Conner, Washington and Victoria, BC. The region around La Conner has fields and fields of bulbs. Daffodils pop up in March making Skagit Valley a sea of spring yellow. This year spring has come early, so if you head down now you will see not only daffodils but the first tulips. http://www.visitskagitvalley.com has a pretty comprehensive list of things to do in the area, from museums, walking and biking trails, heritage barn tours, watchable wildlife, art and craft shows and spring in all its glory. 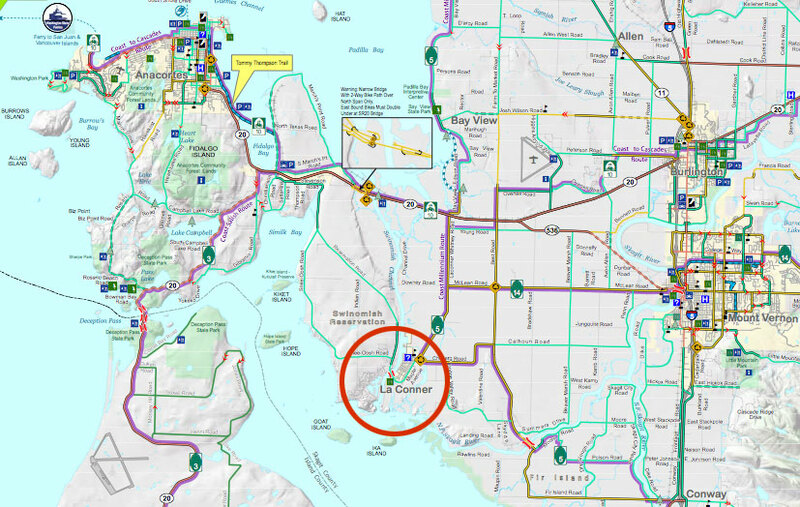 This map shows La Conner (in the red circle) as well as Anacortes on the top left where you can catch a ferry to Vancouver Island and Victoria. Victoria, the City of Gardens, has long instituted an annual flower count on the second week of March. 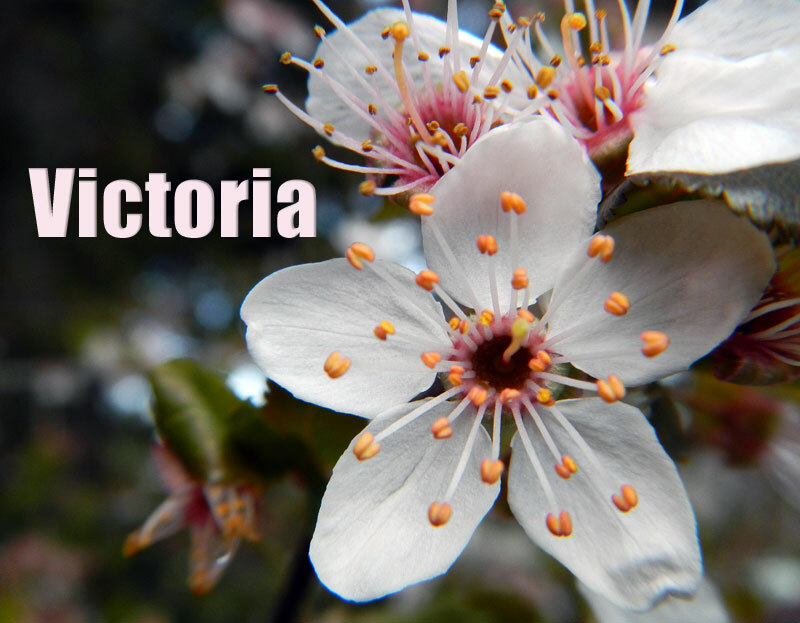 Although the count of over a billion blooms is not especially accurate, it serves to remind people that Victoria has the mildest climate in Canada, often sunny and averaging about 60°F. I was there last week, and with the balmy spring weather we walked for miles along the harbour, took the ferry tour of the inner and outer harbours, stopped and fed the seals fresh fish at the Fisherman’s Wharf (and had a bit of salmon chowder for ourselves) and managed to stop in several very British pubs that served up very British pub fare such as Scotch Eggs with Branston Pickle along with a wide selection of tasty craft brews from the many local breweries. There are lots of other things to do as well and you can find them on this site: http://www.tourismvictoria.com. 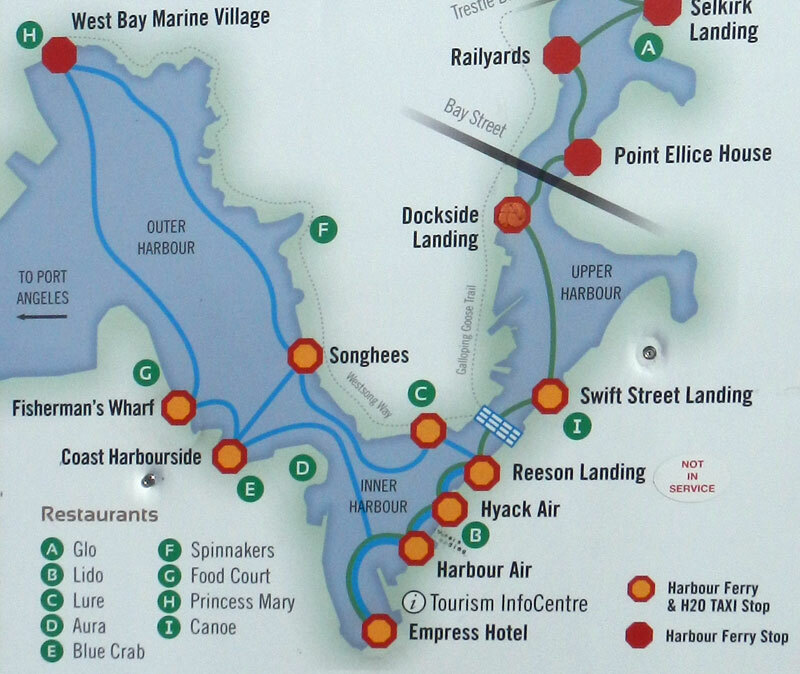 This is a small map of the Victoria Harbour Ferry Stops, and where we spent most of our time.